The complexity and criticality of modern control systems are rapidly growing. 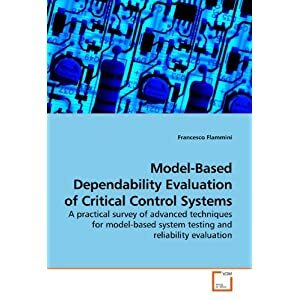 This book addresses the issue of dependability assessment by means of model-based techniques, both as a support for software testing and a means to evaluate quantitative reliability attributes. Models allow engineers to fine tune effectiveness and efficiency according to system complexity and dependability requirements. Real-world engineering problems are clearly presented in the book, and solutions are described from both theoretical and practical points of view. In order to demonstrate the feasibility of the approaches, several example applications on railway systems are described.